Today’s assignment is to show an edge — a straight line, a narrow ridge, a precipice. A narrow ridge is a long, narrow, elevated strip of land or any raised strip or band. A precipice is a very steep rock face or cliff, typically a tall one. 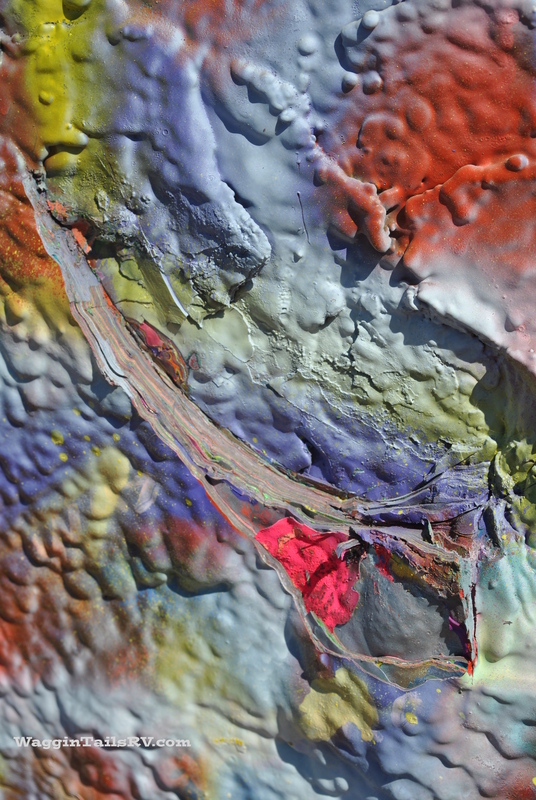 And an edge can be a transition from one surface to another – i.e., a shore line, or a cloud bank, or the horizon. This was my first choice for the assignment. I did not like the clutter of highway signs at the bottom of the image. I did not want to just crop the bottom off and I am not adept at photo editing the ‘junk’ out of the photo. That is for another day. The photo would have been titled – “The Edge Of Night”. 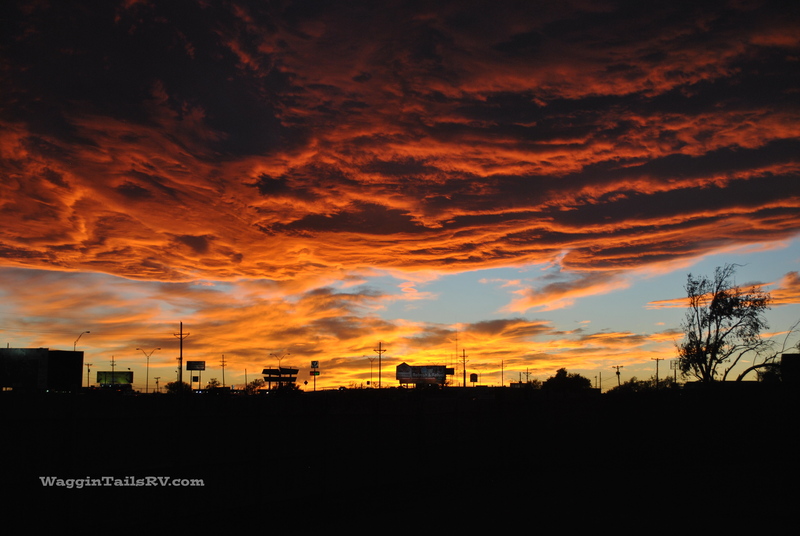 Second choice for this assignment was a Southerly view from Interstate 40 about 5 miles West of Amarillo, Texas. The horizon in the Texas Panhandle is pretty flat, thus creating an edge. 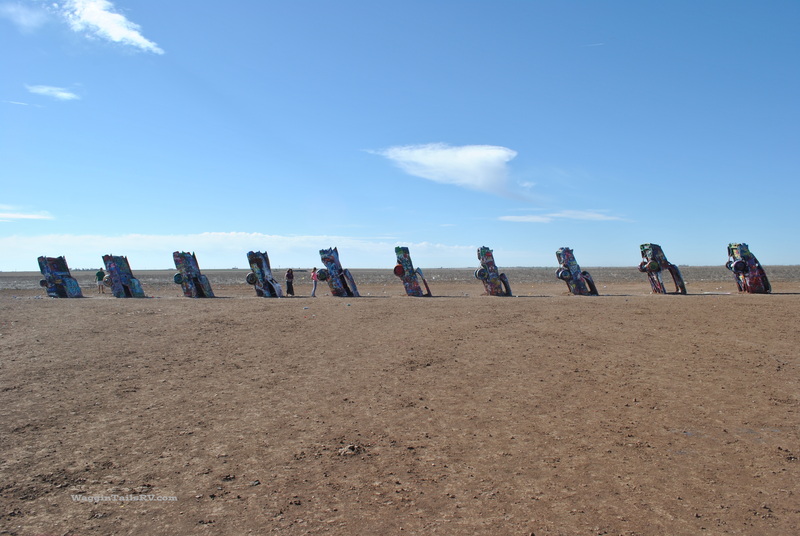 The cars seen in the photo is an iconic landmark on I-40 better known as the Cadillac Ranch. Click that link to read an earlier post that tells more about that. Searching for a more unique POV on the assignment, I walked to the South side of the 4th car from the right. Do you see that small splash of fuchsia in the following photo? There is a purple circle around it. Let’s get closer. Do you see it yet? That splash of fuchsia points to the object that is my focus for our assignment: Edge and Alignment. I just about had to stand on my head to get this shot to work. The sunshine was great but I stood behind my right shoulder. After a little creative staging and minor cropping, I am happy with the results. 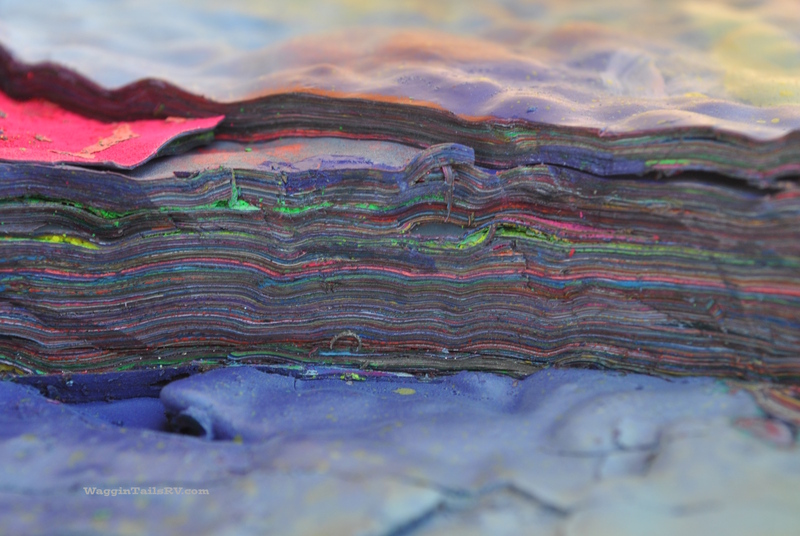 I present The Edge of Paint. 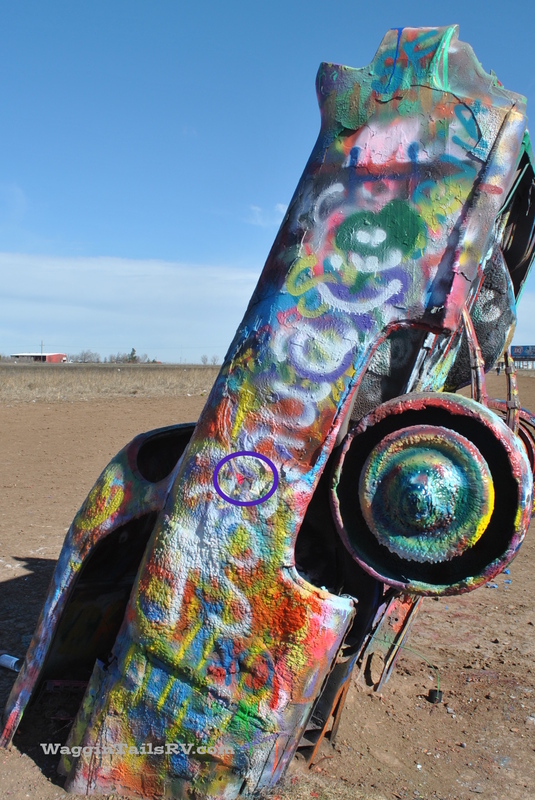 This entry was posted in Photography, Texas and tagged Amarillo, Cadillac Ranch, Photo101, Sunset. Bookmark the permalink. cool Jerry – I like the edge of the night and all the clutter – it gives it depth and reality – I really like that picture – The edge of paint is really good – it’s a great shot…learning from you – thanks for sharing. Knocked it out of the park, Jerry! !